Designed and built to emulate real world feel and performance, the Stages SC bikes are the most technically advanced indoor bikes available. 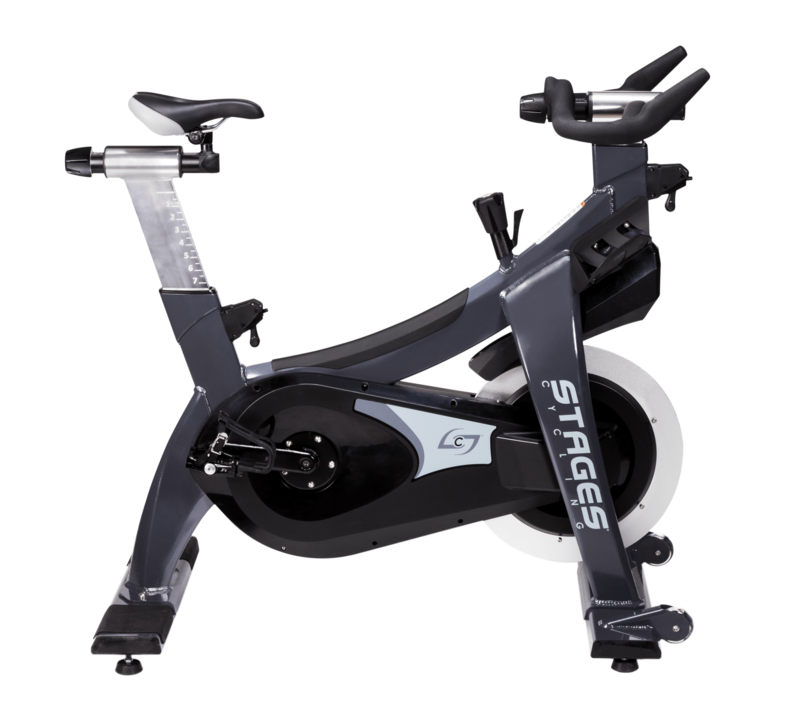 The Stages Cycling SC2 Indoor Bike features innovations such as a CarbonGylde drivetrain, magnetic resistance system and StagesFit. In addition, with the SC2, you get all of the features of the SC1, plus Stages SprintShift and an aluminum frame. Also, the SC2 can be upgraded with either a Stages or third-party power meter as well as a Stages battery powered console. With the SC2, you get all of the features of the SC1, plus Stages SprintShift and an aluminum frame. Stages CarbonGlyde features the Gates Carbon Drive carbon fiber belt, which provides a very realistic outdoor road feel, with none of the traditional chain drive maintenance. It also features a 5:1 gear ratio and perimeter weighted high-inertia flywheel drive system for smooth pedaling across all power levels. The SC2 has an accurate, easy to use resistance System featuring a micro-adjust resistance dial and emergency push-to-stop. 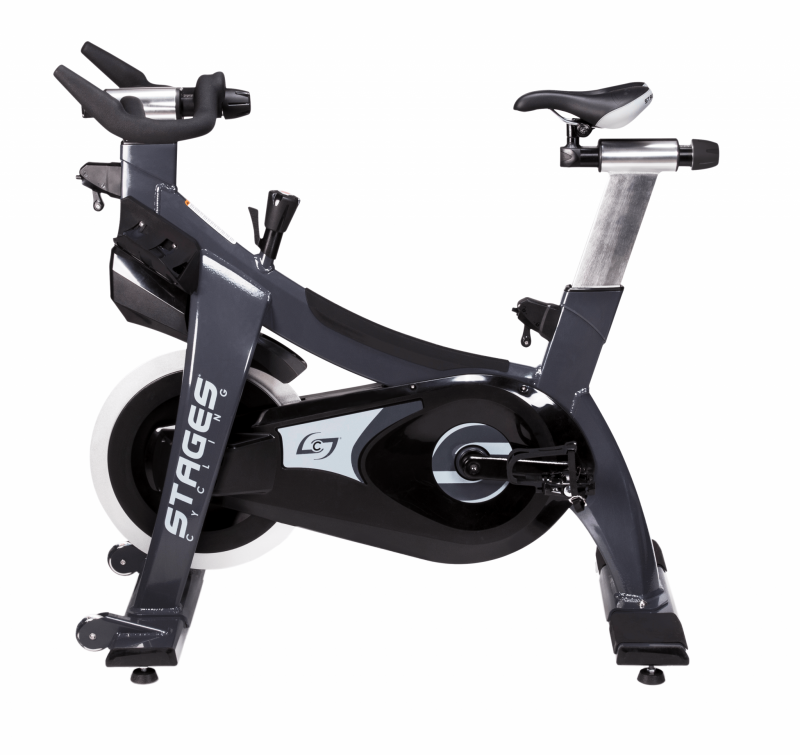 The StagesFit process on Stages Cycling SC2 Indoor Bike features patent-pending fore aft adjustments and standard pop-pin twist-to-lock height adjustments. This process makes getting the perfect bike fit quick and quick. Stages SprintShift allows you to instantaneous make large changes to resistance, using a unique three-stage lever. This is great for HIIT or interval training. Displays Maximum, Average and Ride totals for the following metrics: Kilojoules (work), Kcal (calories), Watts, RPM, Speed, Heart Rate (if wearing a heart rate monitor), Time and Distance. The STAGE button allows for up to 99 sections of time (laps), which is an import function for efficient and effective training. Transfers ANT+ workout data to a standard USB drive. 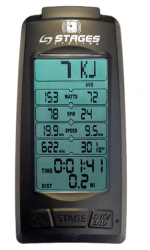 The Stages power meter sets the bar for accurate and reliable power measurement for indoor cycling. Compatible with both Bluetooth SMART and ANT+ enabled devices. Features over 2,000 hours of battery life and is powered by two AA batteries.